With a heart that knew no bounds, Valena May Maciejewski lived a life rich in generosity, love, and kindness. A woman who generously lived in service of others, Valena was a devoted wife, mother, grandmother, and friend. Valena’s empathy and unwavering support provided a sense of safe harbor for many and inspired others to give freely as well. Cherished by many, Valena’s bright light will long continue to warm the hearts of all who were blessed to know her. Despite the obvious gloom the Great Depression, the power of hope undulated in the hearts of many. With a natural drive to not just endure but thrive in the face of uncertainty, the nation continued to put one foot in front of the other to build a better future. Nowhere was there more hope for the future than in Andersonville, Tennessee as Jacob "Wheeler" and Mabel Juanita (Powell) Jones welcomed their daughter Valena into their hearts and home on March 2, 1932. While Valena’s life began in rural northeastern Tennessee, at the age of three or four, she and her family moved to Detroit, Michigan where her father found work at a Rockwell Standard factory. After working at a chicken factory, Valena’s mother became a housewife lovingly tending to Valena and her brothers Harold and John. Growing up in Detroit during the 30s and 40s, Valena learned first hand the values she mindfully built the rest of her life upon; family, empathy, and lending a helping hand to those in need. From the very start, Valena possessed a special love for cats. After the first time she brought one home it was over for Valena--she was officially a cat lover, and she frequently brought home strays to her parents! Her love for kittens and adult cats continued through her entire life, and she always had a cat or ten in her care. Seeing movies at the local theatre and indulging in pop, candy, and popcorn always proved a good time during her youth. A talented artist, Valena loved drawing freehand. With tremendous care, she could draw lifelike faces of people often capturing their personalities as she did so. She also wrote a couple of songs and poems. After completing the 10th grade, Valena had the good fortune of being able to bring her creativity and artistic talents to her work at her neighborhood drugstore where she designed and created window displays.  Valena had several loves in her lifetime and was blessed to give birth to three children. 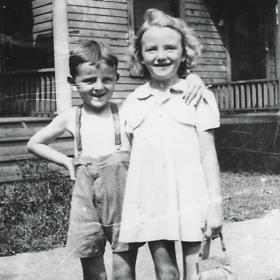 Paul, Floyd "Tony", and Mary were her greatest joy, and she relished in being their mother. Valena took great pride in her children and did her very best to provide them with a loving home. Being a homemaker was truly one of her greatest privileges. For a time, Valena worked at various restaurants where her congenial smile and good nature afforded guests warm welcomes in addition to their meals. Eventually, she found work at Shatterproof Glass Corp. It was there that she met Leonard Maciejewski. She and Leonard were blessed to marry in the comforts of her daughter Mary’s home surrounded by their loved ones. To all who knew her, it was abundantly clear that Valena’s family was her greatest treasure. 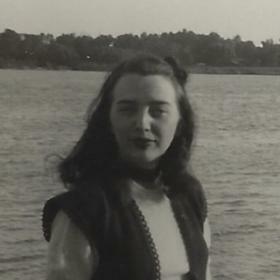 She loved traveling to Tennessee and Indiana to visit her brothers and sisters-in-law--especially if it meant she got to go shopping at Hammer’s Department Store. Her lifelong friends, Mable, Lena, and Alma, were family of choice and their bonds unbreakable. While her children were her joy, her grandchildren were her heart’s delight. Valena adored her four grandchildren, two step-grandchildren, five great-grandchildren, and three step-great-grandchildren and felt that the best times were spent in their good company. Good times were always better when shared with Valena. The family’s yearly Fourth of July reunion traditionally found Valena enthusiastically dressed in her red, white and blue clothing and making her favorite dish, sauerkraut and kielbasa. She always carefully purchased just the right gift for the auction, which helped pay for rented space. She loved church and would often sing in the choir, lending her voice as needed. She also loved attending gospel choir concerts. The 75th birthday party her daughter threw for her was a particularly memorable day. Valena was absolutely thrilled to be surrounded by all of her family and friends for the day. Whether sending her loved ones off with a customary, “Later, Alligator; after while crocodile” or a firm “I love you more!” Valena made sure her love was known to those she held most dear. She loved church and would often sing in the choir leading her voice as needed. She also enjoyed attending gospel choir concerts. A natural caregiver, Valena never hesitated to provide for others. She freely gave all that she had, and her faith in others often inspired them to take the risks to shine in ways they could not imagine on their own. Valena lived a heart-centered life, embracing life’s challenges and joys equally. As she consciously chose love and hope, to selflessly nurture others, and to bring play and laughter to each and every day she taught each and every one of us to do the same. 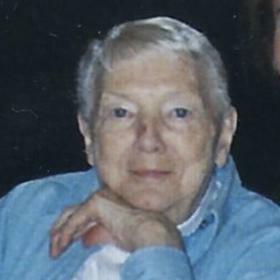 Valena May Maciejewski, 86, Plymouth, MI. passed from time to eternity at Regency at Canton Nursing Home where she was under Hospice care on June 27, 2018. 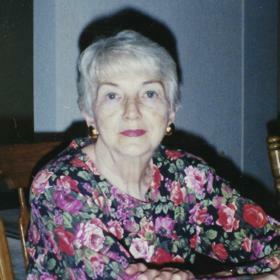 Beloved Mother of Paul (Kathy), Floyd "Tony" (Helen), and Mary (Craig). Daughter of Jacob "Wheeler" Jones and Mabel Juanita Jones. Cherished grandmother of four grandchildren, two step-grandchildren, five great-grandchildren and three step-great-grandchildren. 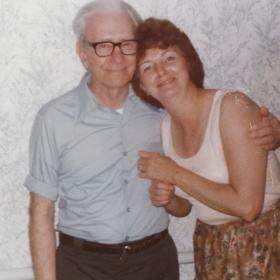 Dearest sister of John Paul (Vicki) and sister in law Ruby and the late Harold Jones. 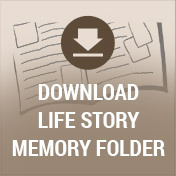 Preceded in death by husband Leonard and her parents Mabel and Jacob "Wheeler" Jones. A visitation will be held Monday 10:00 am to 1:00 pm with a funeral service at 1:00 pm at Neely-Turowski Funeral Home, 30200 Five Mile Road, Livonia, MI 48154.